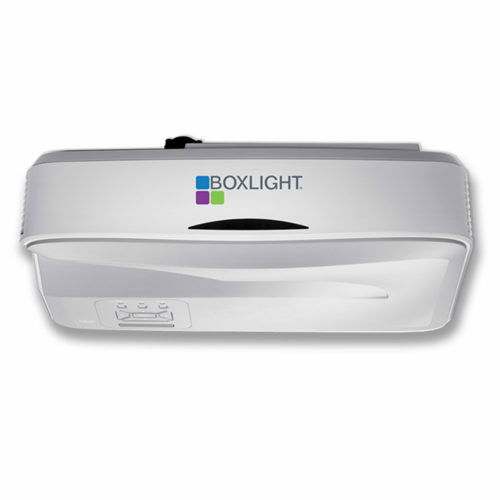 Boxlight P12 Bulb Wide Projector - Display and Interactivity in one device! 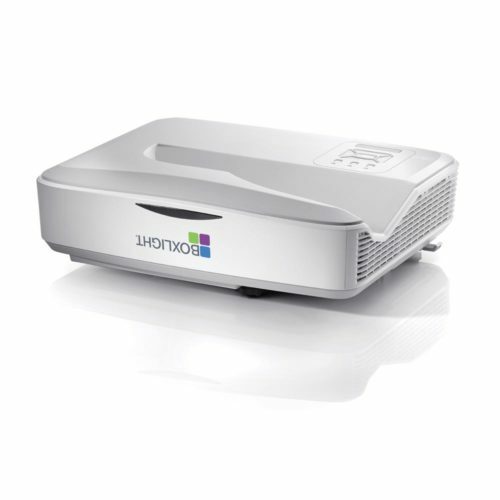 The Boxlight P12 Bulb Wide Projector is an ultra short-throw bulb projector that offers 10-point touch interactivity and imagery as large as 110 inches. 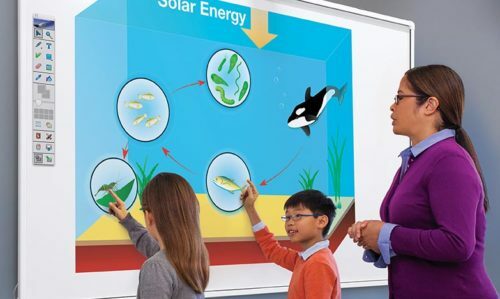 The Boxlight P12 Bulb Wide Projector offers 10 points of interactive touch, allowing multiple students to interact at the same time with the projected content. 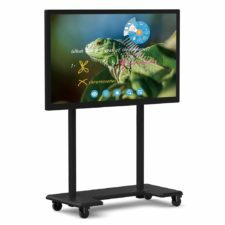 The all-in-one device projects content in an interactive area as large as 110 inches. 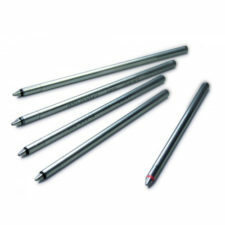 This ultra short-throw is mounted close to the display area, providing a virtually shadow-free display. 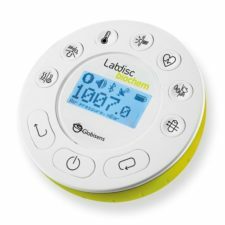 With several interactivity options – pen, touch, or non-interactive – you can pick the best one for your environment. 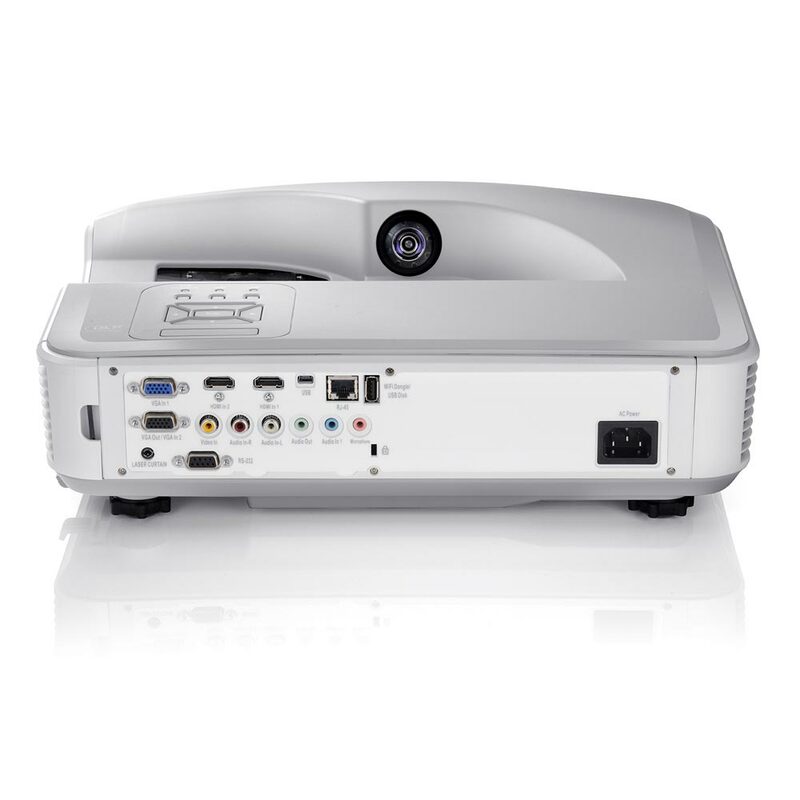 This projector features a bulb, which does require regular projector bulb maintenance. We suggest keeping an extra bulb on hand so you don’t lose down time if you have a blown or burned-out bulb. However, we can make replacement easy. 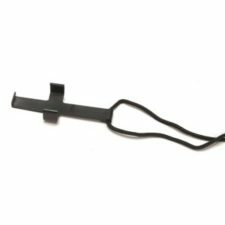 Simply pay a one-time fee that registers your Boxlight projector in the Lamps for Life program and you’ll get hassle-free replacement and 24/7 support to handle your request. 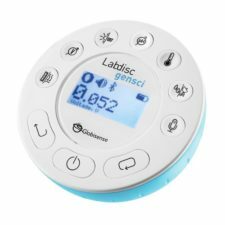 Download the Lamps for Life program explanation. 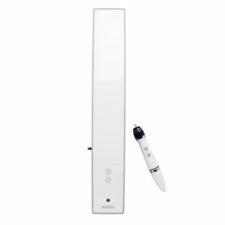 *NOTE: If you are considering the touch-enabled interactive option, please contact us to discuss the condition of your current dry erase boards. Touch projectors require a very flat surface in order to work properly. Please call to discuss specifics or request a surface flatness test for your current boards.